Tick bites not only cause discomfort but may also transmit diseases such as Rocky Mountain fewer and Lyme disease; which may lead to series sickness and possibly long term health impairment. There is a wide range of chemical repellents available in the market but, they are not considered safe to be used on a regular basis. So why not try a homemade tick repellent as a natural way to repel ticks. There are quite a few different essential oils which have bug repelling properties which make them a healthier alternative to these toxic chemical repellents. Use them to create your own homemade tick repellent. It is easy to make and is safe too. 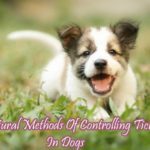 What are the essential oils that control ticks? How does homemade tick repellent work? Ticks find their victims by smelling them. They have a unique sensory organ on the front of their first pair of legs called “Haller’s Organ”. With that sense, they can detect the carbon dioxide you exhale and the ammonia in your sweet. These scents attract the ticks and tempt them to bite the person. So, essential oils with their strong scent are used to conceal your scent. It irritates the ticks senses and they will have problems recognizing a potential victim. How to make a tick repellent spray? 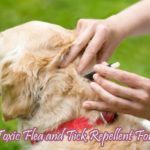 For making a tick repellent naturally, you will need a spray bottle, essential oils and a carrier to dissolve the oils; water and vinegar or water and vegetable oil or water and alcohol or hazel. After getting the things ready, proceed to make the spray by following the steps below. Take a spray bottle and clean it thoroughly without impurities. Make sure you pick a darker bottle as a bottle of lighter shade gets penetrated by sunlight which degrades the potency of the oils. Also avoid plastic bottles, as the essential oils percolate with the plastics. The next step is to decide on the carrier you are going to use in order to dissolve the essential oils. Now, add in different combinations of oil up to a total of 25 drops altogether. Then, close the top of the bottle and shake gently to blend them together. The natural tick repellent is now ready to use. 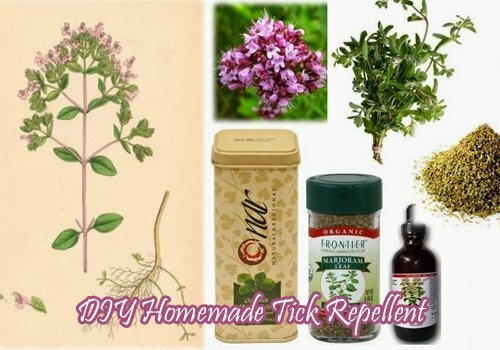 How to apply homemade tick repellent? When you use it for the first time, spray over a smaller area on the skin and check if you feel irritation. After you confirm that it does not create any allergies, spray it over your clothes and skin and not on the face. You have to shake well the bottle before each use. When you go outdoors, make sure you take this bottle along with you. As it is a natural repellent, you will have to apply it in continuous intervals of time in order to avoid ticks. The tick repellent apart from the sprayable version can also be made as a lotion version and oil version too. For the lotion version, you have to mix the essential oils and a good brand of lotion that does not clog. Storing it in a cool area away from sunlight will make it last for up to 3 months of time. It can be sprayed directly when going out. Similarly, for the oil based version, the essential oils have to be mixed with non-greasy oil and have to be stored for future use. Which homemade tick repellent is effective? Even though the natural repellent can be made by three different methods, the sprayable method is more likely to work better. 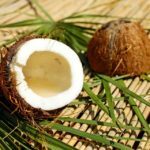 As they are mixed with water, they can be easily sprayed on clothes or skin. On the other hand, the lotion based version requires applying only a smaller quantity and they last longer. Also, the oil based version and the lotion based version are not easy and convenient to apply as they are oily. Try a method according to your preference and write to us about how this article helped in making a tick repellent naturally at home. 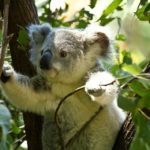 Flea Vs Tick- How Do They Differ? How To Repel Ticks On Dogs ? What is Flumethrin and how does it work? When To Worry About A Tick Bite? This site is for information purposes only and does not constitute professional medical advice. Consult with your physician or health care professional before using any product discussed. If symptoms occur after a tick bite, consult your doctor. tickrepellent.net is a participant in the Amazon Services LLC Associates Program, an affiliate advertising program designed to provide a means for sites to earn advertising fees by advertising and linking to Amazon.com.